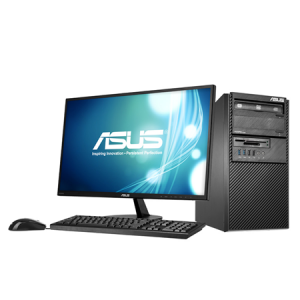 Download ASUS BM1AF Desktop PC Windows 7 32/64bit Drivers, Applications and Manuals. Management Engine Interface V9.0.0.1287 for Windows Win7 64bit & Win8 64bit---(WHQL). Intel Graphics Accelerator Driver V9.18.10.3186 for Windows 7/8 32bit & 64bit---(WHQL). Intel Network Driver V19.1.51.0 for Windows 7/8.1 32bit & 64bit.---(WHQL). TECHUNION Cardreader Driver V6.3.9600.30179 for Windows 7/8.1 32bit & 64bit---(WHQL). Intel USB3.0 Controller Driver V2.0.0.100 for Windows 7 32bit & 64bit---(WHQL). Renesas USB 3.0 Driver V3.0.23.0 for Windows 32/64bit Windows 7. Intel Rapid Storage Technology Driver software V13.0.3.1001 for Windows 7/8.1 32bit & 64bit---(WHQL). ASUS AI Suite II V2.01.02 for Windows XP/7/8 32bit & 64bit. ASUS Easy Update V3.00.06 for Windows XP/7/8 32bit & 64bit. ASUS Business Suite V2.0.31.00 for Windows 7/8 32bit & 64bit. ASUS WebStorage V3.0.104.216 for Windows XP/7 32bit & 64bit. Atheros Wireless Network Driver V10.0.0.59 for Windows 7 32/64bit---(WHQL). Azurewave Wireless Network Driver V3.0.1.0 for Windows Win7 32bit & 64bit.---(WHQL). Ralink Wireless Network Driver V3.2.12.0 for Windows 7 32/64bit---(WHQL). Realtek AW-CB161H Bluetooth Driver V3.754.754.082613 for Windows 7 32bit & 64bit---(WHQL).